The conversation usually turns not to the business of writing but to the ego of writing. Don’t get me wrong, I’m not dismissing ego. I’m a writer too don’t forget. There’s nothing wrong with making a decision to traditionally publish based solely on ego, on the cache that traditional publishing offers. On the other hand, I’m also a business person and there are plenty of self-published authors (or I should say non-traditionally published authors) who make a good living from their efforts. For them, putting food on the table is more important than the model or label under which they publish. So, let’s dismiss the idea of hierarchy from the get-go because if your value or goal is to be on an author list that includes one of the big players, you should probably go the trad route, but if you put value in having more control over your artistic expression and making a living from that work at the same time, I’m going to tell you about some other options. Who is anyone to say that one way is better or worse than any other? That's your business. And that business starts with fit. As you may have gathered from my comments about hierarchy, we need to determine what’s most valuable to us as individual artists and business people. Once we do that, we’re in a better position to make an objective assessment. And when the haters make their snarky comments, whether they’re self-published authors mocking trads or trads looking down their noses at selfs, we can brush them off. This reminds me of birth order. Oldest children vs. the babies while the middle kids get lost in the shuffle. Hopefully, no one will get lost here because let’s face it, in the end, we’re all in the same family. We’re all siblings in the publishing family. And just like members of any family, each member has its own unique personality, strengths, and weaknesses. It's important to understand each other and appreciate each member for who/what they are. Business Model: Traditional publishers pay authors an up-front payment for their work plus royalties on sales, and they cover all of the expenses to publish the book. Because of the competition and arguably high standards, being traditionally published can validate an author’s craft and launch their career. Traditional publishers have the resources to get better shelving position for a book, which increases its exposure. Traditional publishers may also be able to give a book global exposure. Traditional publishers have access to all distribution channels. The publisher assumes the cost of publishing a book. Authors often have to go through an agent to have their work traditionally published. This adds a layer of complexity and may reduce an author’s income because agents get paid a percentage of profits. Authors give up editorial and artistic control. If an author does not have an established platform they will most likely not be a candidate for traditional publishing. A fiction author's platform is less important than a nonfiction author's; however, consider the comments below when making decisions about your platform. Because of their size, traditional publishers are more rigid, sometimes forcing square pegs into round holes. It can take years before a book gets to market. Contrary to what many who are new to the industry believe, traditional publishers rarely pay for much book promotion, particularly for new, unproven authors. Authors are expected to market and promote their own book at their own expense. Being traditionally published will appeal to authors who hope to be in contention for prestigious literary awards and recognition (although using a different model to publish your book does not disqualify you). It will also appeal to authors who do not want to invest any of their own money (up-front anyway) to have their book published. Publishing is a business. If a manuscript would require several rewrites and heavy line and copy editing, an agent or publisher may reject it in favor of another, well-polished manuscript because less time in their editor's hands means more money in the publisher's pocket. Did you know that editing is the single most expensive aspect of publishing and professional editors spend 85--110 hours editing a 100,000-word manuscript (The Chicago Manual of Style, 2010)? Business Model: The business models of indie* publishers vary, but in general, unlike traditional publishers, they do not pay authors when a book is acquired. Like traditional publishers, some indie publishers cover the up-front cost of publishing the book. The publisher and the author share royalties. Indie publishers vet manuscripts prior to acquisition, maintaining some of the cache that comes with traditional publishing. There are a growing number of indie publishers from which to choose, each with their own vibe and specialty. An indie publisher is far more likely to accept a manuscript from an author with no previously published work and/or no established platform. Because indie publishers are much smaller than traditional publishers, they are more agile and can typically publish a book within twelve to eighteen months. Although access and use vary, indie publishers can also distribute their catalog of books across multiple channels. The publisher assumes the cost of publishing the book. The publisher manages the back-end financial tracking and payout leaving the author time to focus on other things. Because indie publishers assume the cost of publishing (and therefore more risk), the author must relinquish editorial and artistic control to a large degree. The profit-sharing/team model (where editors and other service providers share royalties) used by some indie publishers has not proven to be sustainable, putting authors in an unenviable situation when the publisher closes its doors. Regardless of the specifics of their business model, because indie publishers assume the cost of publishing a book, if too many of their books underperform, they risk going out of business. That puts authors at risk (see article below). Production quality can vary widely. An author must take the time to research and vet an indie publisher just as publishers must vet authors. An indie publisher may be a good choice for writers who just want to write without the distraction of having to source publishing professionals and who do not want to assume any cost for publishing their work. The same business considerations that apply to traditional publishers apply to indie, partner, and some hybrid publishers. Although, the risk to smaller publishers (and the authors with whom they contract) is greater because they have fewer books to bet on. If too many underperform, everyone loses. Like traditional publishers, indie, partner, and hybrids must be selective. Authors with excellent manuscripts and an established platform will be more attractive to them because a risk assessment is easier to perform. *Indie is a broad term many people use to cover all models that fall outside traditional publishing. Business Model: Partner publishers share the financial risk of publishing with the author. The author pays some of the cost of publishing a work. The publisher assumes the rest. Author and publisher share royalties, but the author receives a much higher percentage than with traditional and some other indie publishing options. Like traditional and many indie publishers, partner publishers vet manuscripts and authors prior to acquisition. There are a growing number of partner publishers from which to choose, each with their own vibe and specialty. Partner publishing can be considered a mentality because many partner publishers form strong connections with the authors with whom they contract to help them accomplish their publishing and career-related goals. As with indies, a partner publisher is more likely to accept a manuscript from an author with no previously published work and/or no established platform. However, a strong business plan is usually required. Because partner publishers are much smaller than traditional publishers, they too are more agile and can typically publish a book within twelve to eighteen months. Partner publishers can also distribute their catalog of books across multiple channels. Some partner publishers help their authors market and promote their books and establish their platforms. 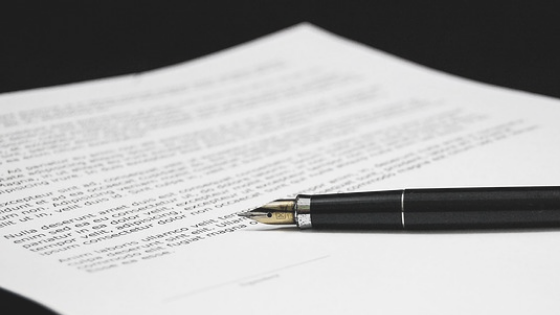 As with traditional and indie publishers, the publisher manages the sales and reporting aspects of the business of having a book and sends the author payments per their contract. The author will have to make an up-front investment and share royalties with the publisher. Because the author will have to make a financial investment, there is some stigma attached to partner publishing. Because the publisher assumes some of the risk, they may exercise more editorial and design discretion than an author would like. As is the case with other indie publishers, if a partner publisher overextends the authors with whom they partner are at risk. Like all indie publishers, partner publishers may not have the reach and influence offered by a traditional publisher. Partner publishing may be a good fit for an authorpreneur, a business person writing a book for the purpose of establishing themselves as an expert in their field and/or one who plans to use their book as a loss leader in the sale of higher priced products and services. This model often attracts consultants and coaches because they see the value in partnering with publishing experts, which allows them to spend time doing the work that makes them the most income while hedging their bets against financial losses that can arise when self-publishing. They may also be attractive to fiction and nonfiction authors who want a more intimate publishing experience. Partner publishing is speculative in nature just as traditional and indie are, therefore, responsible publishers must consider carefully any manuscript submitted to them and whether or not the author's marketing and promotion strategy offer a reasonable expectation of producing profits. Authors with clearly articulated visions for their work, their careers, and those with established platforms will be more attractive to partner publishers. Depending on the business model of a particular hybrid publisher, authors may assume all of the cost for publishing their book or the author and publisher may share it (closer to a partner publishing model). Hybrid publishers are more likely to accept manuscripts from first-time authors than traditional publishers. Hybrid publishers, like the publishing models listed above, use distribution channels that are not available to self-publishing authors. Hybrid publishers offer a one-stop-shop for professional publishing services such as editing, design, layout, and formatting. Like other indie publishing models, hybrid publishers can typically produce a book faster than traditional publishing houses. Many authors use a hybrid publisher to publish their first book and better establish their platform before pitching subsequent projects to other types of publishers. Hybrid publishers also manage the financial aspects of books under contract freeing author's time and energy to devote to other things. Like self-publishing, there is sometimes a stigma attached to this types of indie publishing. Authors pay out-of-pocket for publishing services. Publishers may not vet manuscripts for quality and/or marketability prior to acceptance, which means there may be little quality assurance and market analysis. For those models where manuscripts are vetted, the author gives up some artistic control. The publisher makes the final call regarding layout, cover design, and when the manuscript has reached the bar set for being ready to publish. Authors wishing to maintain all artistic control may be frustrated by being forced to conform to the publisher's standards. Editing, design quality, and financial viability vary widely between publishers in this category. A hybrid publisher might be an excellent choice for an author who wants faster production and access to publishing professionals and distribution without having to cobble resources together on their own. *While partner, hybrid, and self-publishing may technically be considered indie, I have delineated publishing options based on their business models. Self-publishing is distinct in several substantive ways, therefore, I consider it in its own category. The critical distinction in my mind is whether or not the publisher assumes any financial risk when publishing a book. If they do not--that is to say that if a book's success or failure has no impact on the financial position of a publisher--they are a self-publishing service provider. Assuming the publisher would suffer a financial loss if a book were to underperform, the same considerations that apply to traditional, indie, and partner publishers apply to hybrid publishers. Business Model: Self-publishing authors choose if, and who, they pay for publishing services. They pay out-of-pocket and keep all the profits. Authors have total control over their book project. Many authors self publish their first book to establish themselves as authors. The self-publishing stigma, particularly for first-time authors is fading. The author assumes all financial risks. The author is responsible for quality control and for finding professionals to edit their manuscript, create a cover design, and properly layout and format the text. Self-publishing authors do not have access to all types of distribution. You don't know what you don't know, applies to self-publishing. The learning curve for publishing is steep. A self-publishing author must find a way to learn every aspect of publishing to produce, distribute, and successfully market their product. They must also manage all of the back-end payments and sales information as well as storage and print runs. Although the stigma is changing, some authors have difficulty overcoming it in their own minds and the minds of others, particularly potential readers. Self-publishing might be right for an author who already has relationships with publishing professions and who has a clear strategy for producing, marketing, and distributing their book(s). BUT WHAT ABOUT MARKETING & PROMOTION? There is a misconception that traditional publishers will assume the responsibility of promoting an author’s book. That is not the case. The burden of marketing and promotion is increasingly shifting to authors. Authors who are business minded and willing to devote their own resources to insuring the quality of their product and who are willing to aggressively promote their work are beginning to ask themselves why they should relinquish control and profits to agents and traditional publishers when there are so many other publishing options from which to choose. On the other hand, the flood of poorly executed books on the market serves to enhance the cache of being traditionally or otherwise professionally published. Regardless of an author's reason for choosing one model over the others, establishing a platform and book promotion will largely be the author's responsibility. So, there is no hierarchy in publishing, or there needn’t be. Authors need to find the right fit. So, which publishing option is best for you, your project, and this stage in your writing career? That is a question only you, dear author, can answer. *ALWAYS do your homework on every agent, editor, and publisher to whom you wish to submit. Knowledge, experience, professionalism, and connections vary widely. Just because someone claims to be an agent, editor, designer, or publisher, doesn't mean they understand the publishing industry and the standards to which publishing professionals adhere. Only submit to those that are a good fit. If you aren’t sure, ask them. The good ones will be proud of what they do and happy to answer your questions.